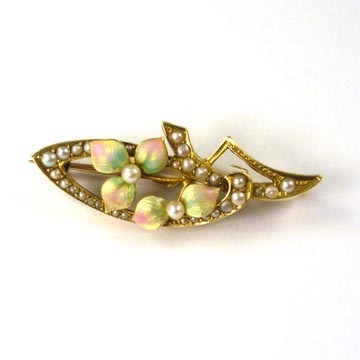 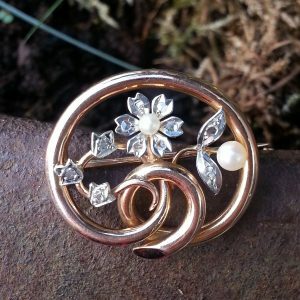 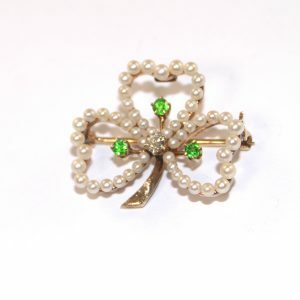 Seed pearl and enamel brooch, circa 1895. 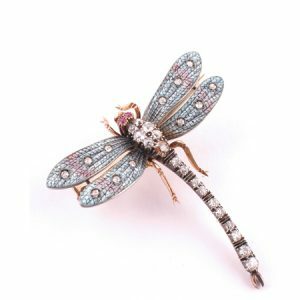 Exquisite brooch in the form of a dragonfly with beautifully enamelled wings and set with diamonds and rubies, circa 1890. 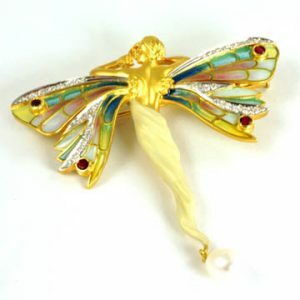 Dragon fly lady brooch/pendant – one of the most iconic images of Art Nouveau jewellery.